Earlier this month, esports continued its steady march into mass market acceptance when The Overwatch League’s (OWL) New York Excelsior team (NYXL) signed on T-Mobile as a presenting sponsor during the league’s second season. For the uninitiated, OWL is unique in esports because its franchises are geolocated (read: city specific). Owners purchase the rights to a location/city, which opens up the opportunity for them to monetize the team through local sponsorships/partnerships (note: as in NY with the Yankees and Mets, there will be some exceptions i.e., in LA, OWL has the Gladiators and Valiant). While, on the face of it, this might seem like a limiting factor, it’s actually not. And the Excelsior/T-Mobile deal is a great example of why that is. Up until now, esports have eschewed the traditional sports model of franchising teams to cities (or even states); the closest thing has been League of Legends’ (LoL) regional model. There are a number of reasons for this, but the biggest is the dispersed nature of the esports audience. While the audience is huge, it’s spread across the entire globe and its fans are again diffused by the games they follow. This has traditionally made the idea of having geolocated teams – especially when those franchises cost millions of dollars each – seem untenable. Blizzard and the team owners made a bet that a game with a big enough audience, consolidated around major metropolitan areas would offset that inherent risk. While the jury’s still out on whether this risk will pay off, teams like OWL’s NYXL have sponsors like T-Mobile and traditional ownership groups like the Kraft Group are getting involved. When you look at those groups’ past success with geolocal teams in traditional sports, it’s a good portend for the future. An interesting wrinkle in OWL’s geolocal model is the physical reality of where the games are played. Blizzard has a (beautiful) esports stadium, Blizzard Arena Los Angeles, located in Burbank, CA. 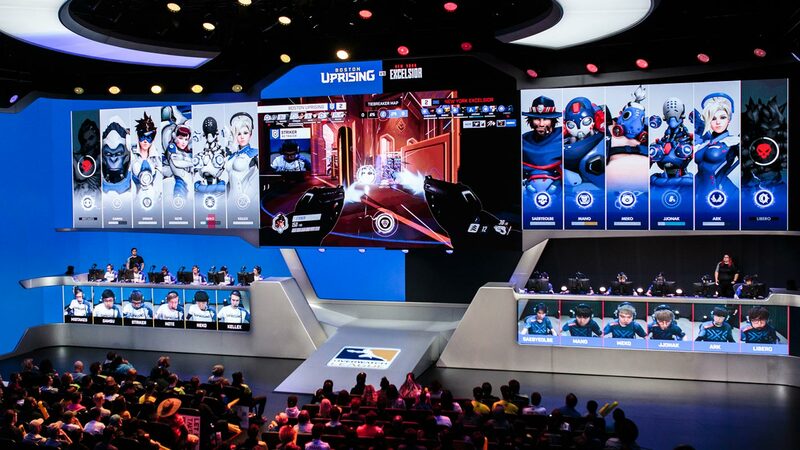 And while the OWL’s franchise model aspires to build intercity rivalries akin to those in the NBA or MLB, the physical reality is that most of last year’s games and most of this year’s games will be played at Blizzard Arena Los Angeles. As a result, local team sponsors are going to have physical presence IRL and in streams – either through signage or apparel – in LA, regardless of their home locations. While this shuts off some sponsorship value for strictly regional sponsors, it adds incremental value for national sponsors with local marketing requirements (i.e., telcos, franchised retail, etc.). Of course, sponsors like T-Mobile could be looking at OWL’s long game. While the “local” sponsorship component of OWL teams is pretty much virtual at this point, Blizzard are on record saying their goal is to have dedicated esports stadiums/venues set up in each of their franchise cities in 2020, moving to the “home/away game” model used by traditional sports today. Using venue-based sponsorship packages in traditional sports as a corollary, sponsors like T-Mobile are smart to get in as sponsors now, assuming that their patronage would give them most favored nation pricing and (probable) category exclusivity when their team’s venue is launched. When you factor in the broadcast/streaming potential of each venue, the sponsorship value increases dramatically. Depending on the nature of a sponsor’s business, OWL’s international appeal is either a sunk cost or a value add. 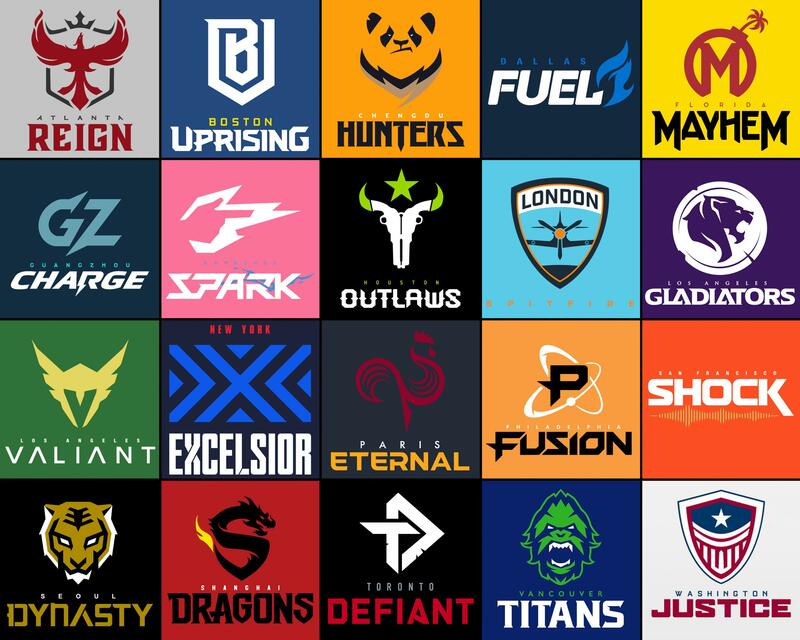 Of OWL’s 20 teams in season two, seven are outside of North America, spread across Europe and Asia. In the instance of T-Mobile – which is a subsidiary of German telco Deutsche Telekom AG – the international presence is value add, however diminimusly (for now). An additional international wrinkle to esports is the makeup of their teams. For OWL’s season 2, there are 186 total league players and of that number, 57% are from South Korea, 19% are from Europe, and only 14.5% are from North America. The kicker here is that each of these players has their own set of social media followers that often total – across all channels – over a million. These followers represent additional touchpoint opportunities for sponsors, whether through explicit product mentions or through passive apparel sponsorship. For strictly North American sponsors, this aspect of the investment is mostly a sunk cost. But for international businesses with heavy North American domestic and local marketing needs (like T-Mobile), these aspects of OWL offer a very unique sponsorship opportunity. The Overwatch League offers a unique test for the profitability of locally-franchised esports teams and their sponsors. Today, they are virtually local but realistically national and international. Tomorrow, they’ll be hyper local, national, and international. From a sponsorship perspective, these realities represent a real value for local and national sponsors that will hockey stick over the course of the next 2 – 4 years.